Mr. Waldo F. Bakke, age 81, a longtime resident of Westford and Groton, MA, died peacefully surrounded by family at Banner Boswell Hospital in Surprise, Arizona on Sunday evening, November 11. He was the beloved husband of Florine (Santos) Bakke, whom he knew since kindergarten and shared 55 years of marriage. He was born in Lowell, MA on Feb 8, 1937 of the late Francis Bakke and Margaret (Benoit) Bakke. He served as an altar boy at Saint Peter’s Church in Lowell. As a Captain in the National Guard Waldo served during the riots in Boston. An accomplished entrepreneur, Waldo was a founding member of B&B Income Tax Service in Chelmsford with his brother Lloyd and a close friend. Waldo eventually took over the business and ran it for over 45 years while simultaneously working full time and eventually retiring from the US Department of Defense as an auditor stationed at Sanders, a Lockheed Company (now BAE Systems) in Nashua NH. 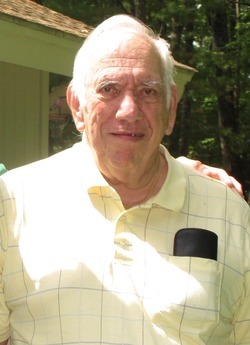 Waldo was a longtime member of the Westford Kiwanis, working on the Apple Blossom Festival for the community with his longtime friend Don Drew. He enjoyed working with friends like Don in the community and helping provide scholarships to students from Westford Academy. Waldo gave back to the community as the Chairperson of the Town of Westford Finance Committee. Waldo was a loving husband to Florine and cared for her while she recovered from heart trouble and surgery. Waldo enjoyed traveling with Florine and close friends and family to Alaska, New Zealand, Australia, Portugal, Norway, the Panama Canal as well as many other ports of call on numerous cruises.